Homes for sale in Botanica Jupiter FL. 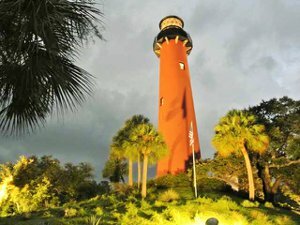 Search all homes for sale in Botanica Jupiter FL with photos, videos, including Botanica Jupiter FL HOA information. Botanica Jupiter FL homes for sale are located in a secure, family-friendly community just east of I-95 between Indiantown Road and Donald Ross Boulevard. Botanica Jupiter FL homes are located in several subsections to meet many lifestyle needs. 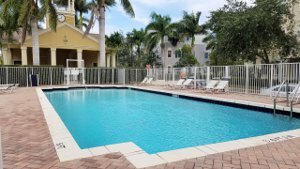 A variety of 2 or 3 story Key West style condos are grouped in Sandpiper Cove at Botanica Jupiter Fl, while townhome and single-family communities in Botanica Jupiter FL homes have a homeowner association governing body. 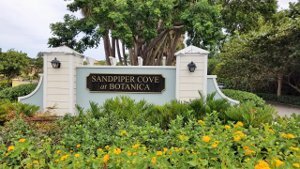 Sandpiper Cove condominiums at Botanica Jupiter FL HOA fees are affordable and cover many South Florida homeowner necessities, Incl: Cable; Common Areas; Insurance-Bldg; Lawn Care; Pool Service; Roof Maintenance; Sewer; Trash Removal. All of Botanica Jupiter Fl real estate is surrounded by natural woodland preserves and verdant landscaping to create a beautiful view outside your windows. In addition to a great selection of shopping, dining, and education, residents of Botanica homes also are minutes away from recreation and entertainment in the town of Jupiter. Real estate in Botanica is made up of condos, townhomes, and single-family homes. These properties feature Key West architectural designs with concrete block construction. There are one- and two-story single-family homes with 3-6 bedrooms. Botanica Jupiter FL floor plans offer living space ranging from 2,000 square feet to 5,000 square feet, and these luxury homes often feature a two-car garage. The community of Sandpiper Cove in Botanica offers it's residents a pool and clubhouse area. Homes in Sandpiper Cove have high ceilings, granite counters, and cherry cabinets. Botanica townhomes are a great option for those seeking a lower-budget option that still delivers on style and community. There are also larger estate homes located at the northern portion of the Botanica community which were built by Eccelstone with grand entries, high ceilings, upgraded finishes, private pools, impact glass and are surrounded by preserve areas. Residents of Botanica Jupiter FL real estate have numerous opportunities for recreation. The community boasts another large pool and clubhouse for its residents, making it easy to get to know your new neighbors. Top-notch golf courses in the area offer picturesque backdrops while you practice your skills. Jupiter also features plenty of other outdoor excursions, including wildlife preserves, nature trails, lakes, community parks, and bike paths. And of course, the beautiful Jupiter beaches are only a short drive away for hours of fun in the sun, sand, and surf. Sports fans will enjoy visiting Roger Dean Stadium in Abacoa for baseball games. Find out more information on JUPITER HERE. Shopping and dining options near Botanica homes are plentiful. Residents are able to walk to the adjacent shopping center, Sea Plum Plaza, for a morning coffee at Starbucks and Publix groceries, among other restaurants and service shops like nail salons. Harbourside Place, in the new Riverwalk district, has a number of eateries for every type of craving: from sweet (Johnny Swirls) to savory (Calaveras Cantina),(Tommy Bahamas),(The Woods) or breakfast at (Another Broken Egg). Numerous nearby sports bars let you catch the big game accompanied by delicious food. The offerings of Palm Beach Gardens are also only a short drive away, including The Gardens Mall, which boasts dozens of specialty retailers and brands. Find out more Palm Beach Gardens Information Here. Travel to and from Botanica homes is simplified by the community’s location off of I-95. Residents of Botanica are served by the School District of Palm Beach County. The community is ideal for families, as many of the district’s A-rated schools are nearby, including Jupiter Elementary, Independence Middle, and Jupiter High School. Private schools in the area offer alternative education.